Highlander provides excellent passenger and cargo room, fine road manners, a quiet cabin, and a good selection of family-friendly features. Acceleration is a bit sluggish with the base 4-cylinder engine. Other than the Nissan Pathfinder, the Highlander is the only mainstream-brand midsize SUV to offer a hybrid powertrain. 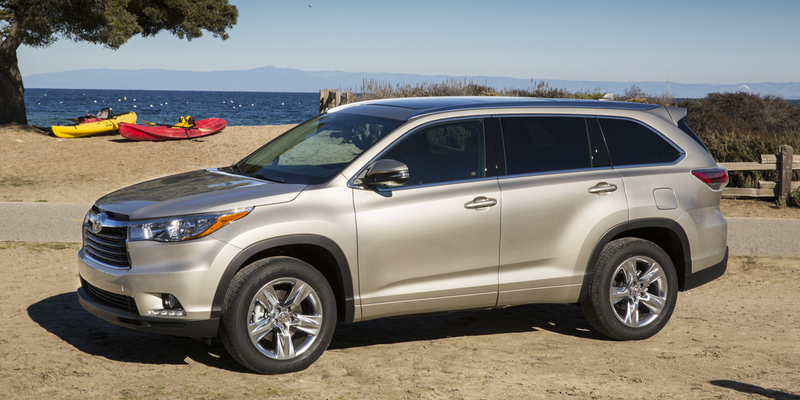 The Highlander is Toyota’s 3-row midsize crossover SUV. It can seat eight passengers when equipped with the available second-row bench seat. It is available with 4-cylinder, V6, or hybrid V6 powertrains, and ascends through LE, XLE, Limited and Limited Platinum models. 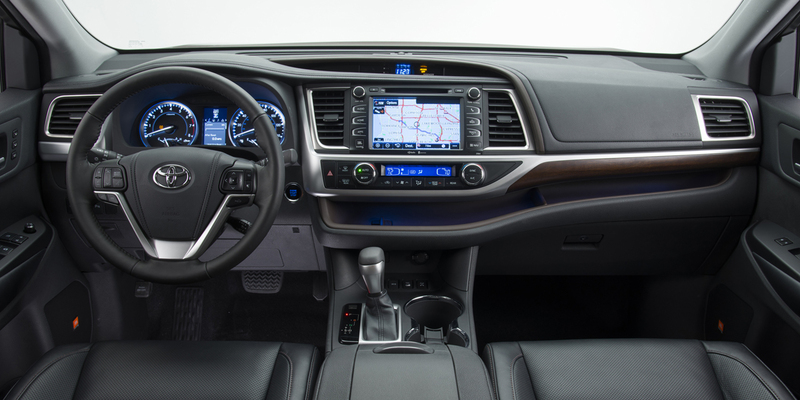 Available features include a BluRay entertainment system and Toyota’s “Driver Easy Speak” feature, which amplifies the driver’s voice through the rear-seat speakers for easy communication with passengers in the 3rd row. 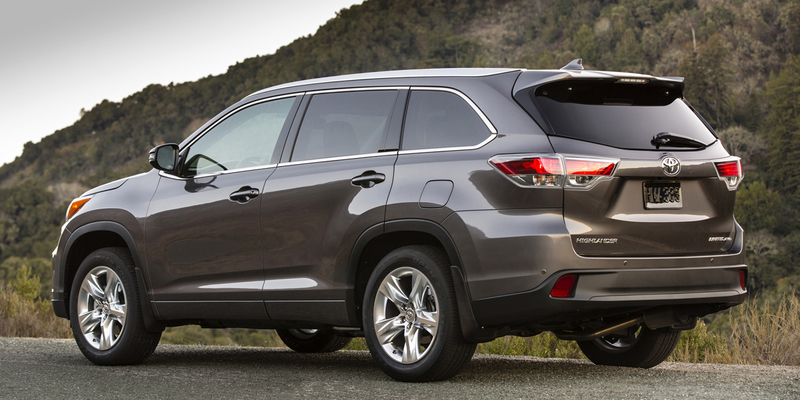 Highlander was redesigned for 2014 and sees no changes of note for its sophomore season. EPA estimated fuel economy is 20 mpg city/25 mpg highway with the 4-cylinder (which comes only with front-wheel drive), 19/25 with the front-drive V6, and 18/24 with all-wheel drive V6. 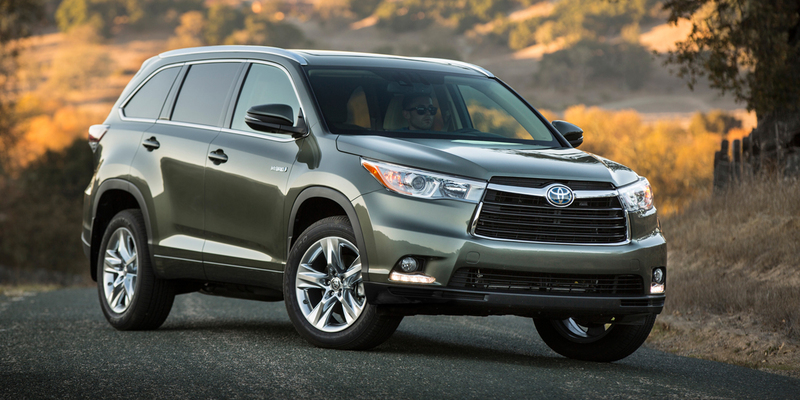 The Highlander Hybrid (which comes standard with all-wheel drive) is rated at 27/28. 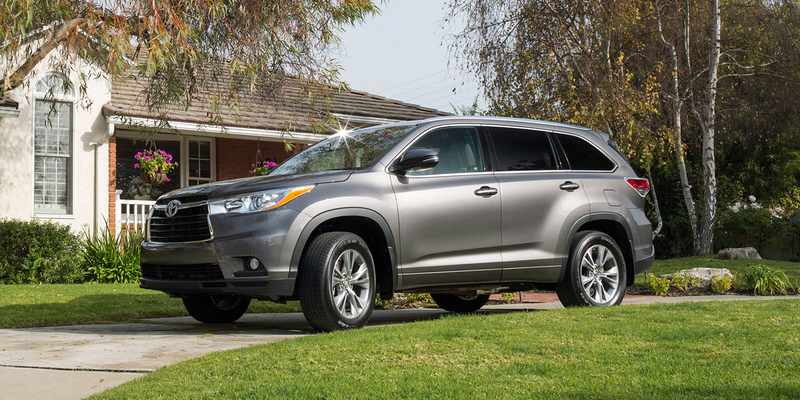 In Consumer Guide® testing, a Highlander Hybrid averaged an impressive 30.2 mpg, beating the EPA numbers. A test XLE V6 AWD model didn’t do as well, averaging 17.1 mpg in a slight majority of city driving. We rank the Highlander as a Best Buy because it excels at delivering the traits that SUV-buying families want most. Its redesign last year brought significant improvements in passenger/cargo room and versatility. Thoughtful small-items storage areas abound, and the cargo space behind the 3rd-row seat is among the best in the class. Add in Highlander’s decent maneuverability for the size, comfortable ride, and nicely finished interior, and you have a standout midsize SUV.